Can O’ Cockroaches | Zoo Med Laboratories, Inc.
• Good source of protein & energy. • Great for stimulating appetite. 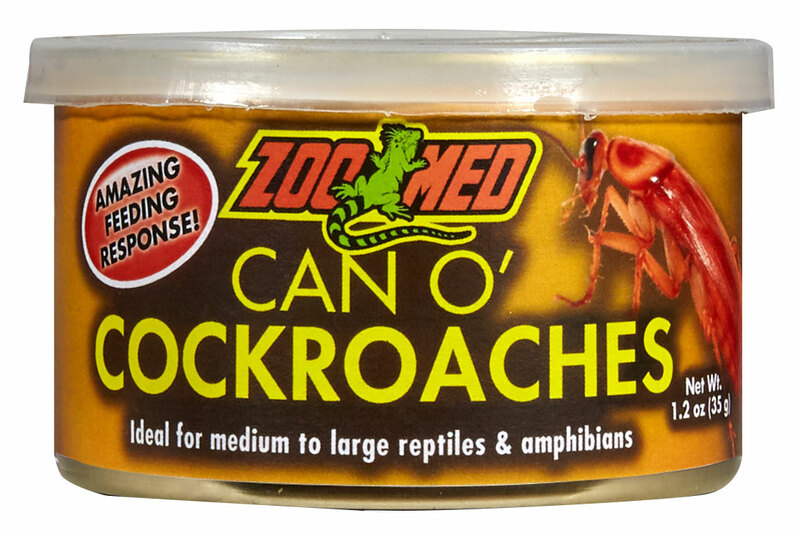 Feed an appropriate amount of cockroaches for the size animal you are feeding. Do not use for hatchling or small (3” and under) animals. Discard any uneaten cockroaches after 24 hours. Ingredients: Farm-raised Cockroaches (Periplaneta americana).